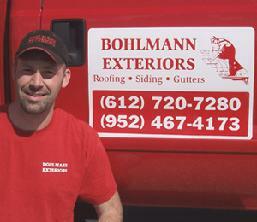 There are a few things that you should know about our Ten Year Workmanship Warranty. It's something that we're very serious about, and we think that you should be too. First, we never plan on having to go back to a home after we finish the job. Yes, the work has our warranty and if we need to we will certainly make any repairs. But the thing is, we do the job right the first time. Everyone on our crew is highly skilled and understands the importance of doing things right the first time, so that we don't need to come back. Second, if we do need to come back for some reason, it won't be a problem. We won't dodge your calls or drag our heels. We pride ourselves on our high level of service and customer satisfaction. 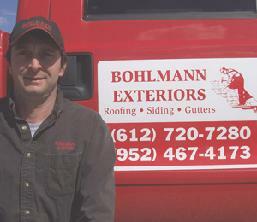 If you have an issue with your roof, siding or gutters just give us a call. We're friendly folks and we'll be happy to help you. And finally, we're a local company. We're based right here in Minnesota, and we've lived here our whole life. We're not going anywhere. We make our living taking care of folks just like you, and we're good at it.